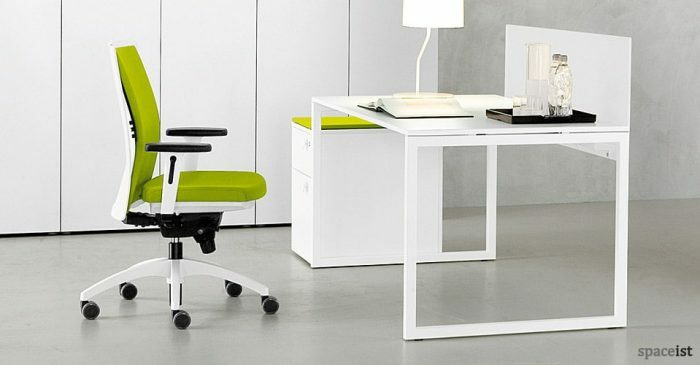 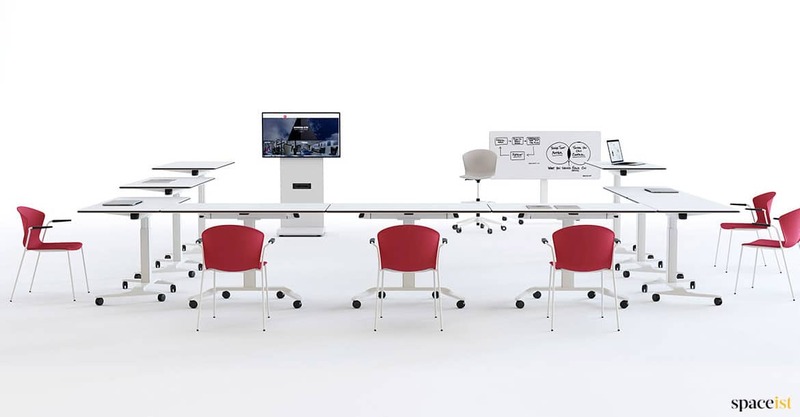 Categories: White office desks, Height adjustable desks. 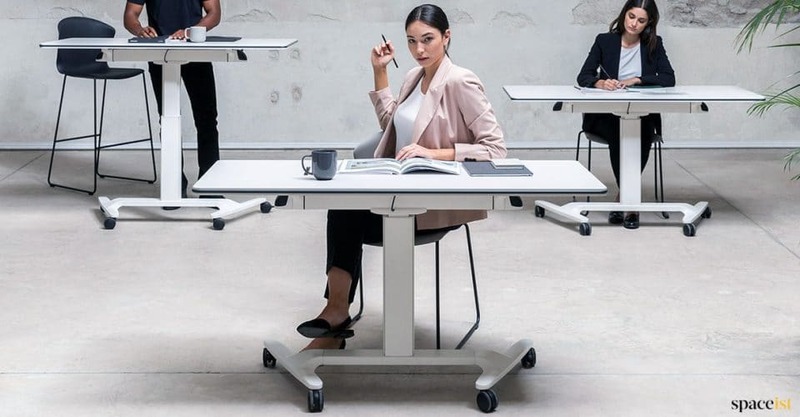 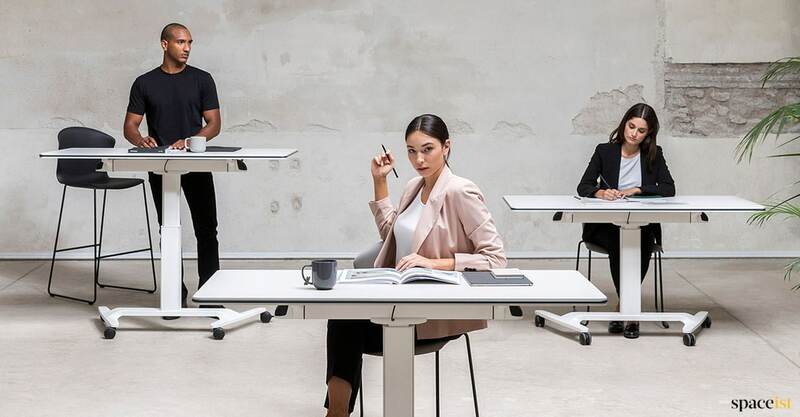 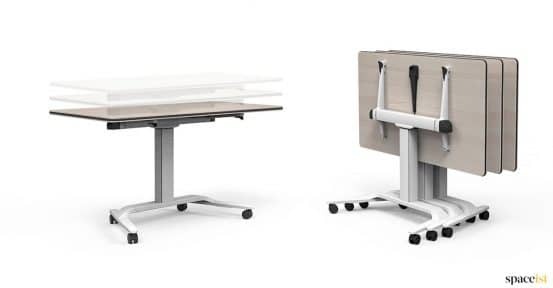 Folding stackable desk with a height adjustable top. 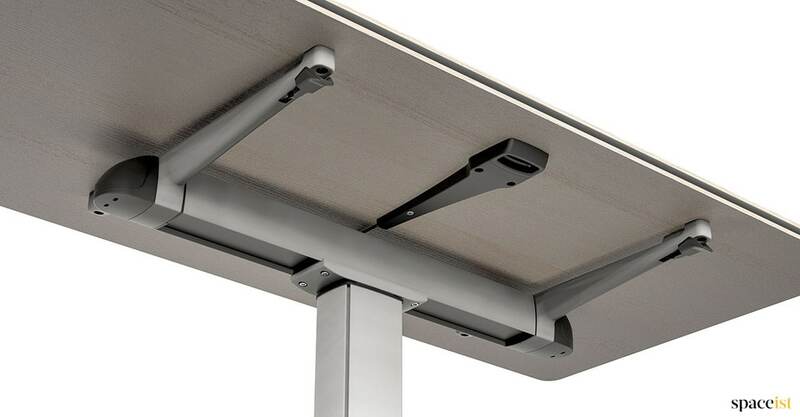 Top adjustment is operated by a button under the top which activates a gas piston to raise and lower the desk top. 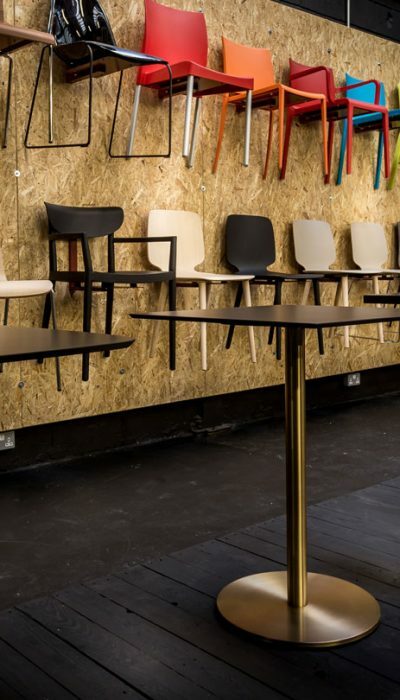 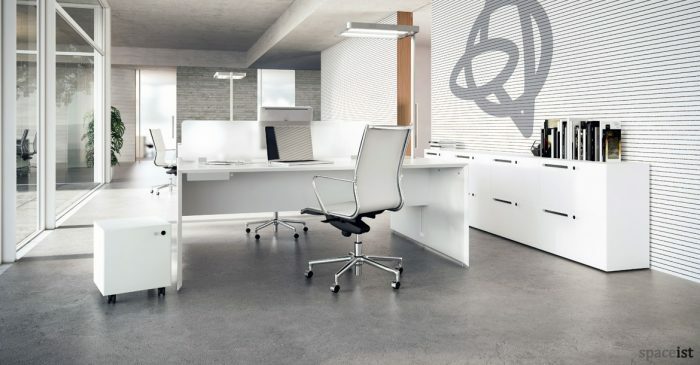 Choose from four top sizes and three laminates colours. 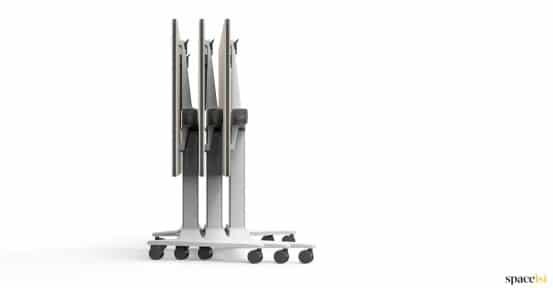 The aluminium frame comes in white, polished, silver and black. 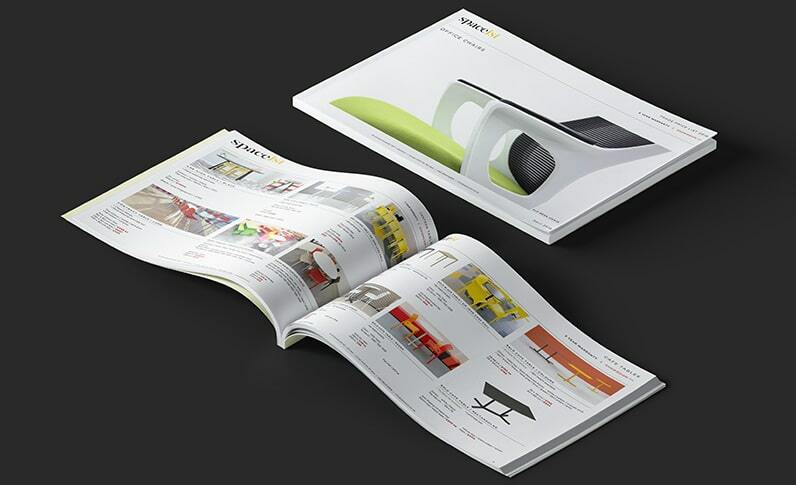 This 100% recyclable desk is made from a high percentage of recyclable materials. 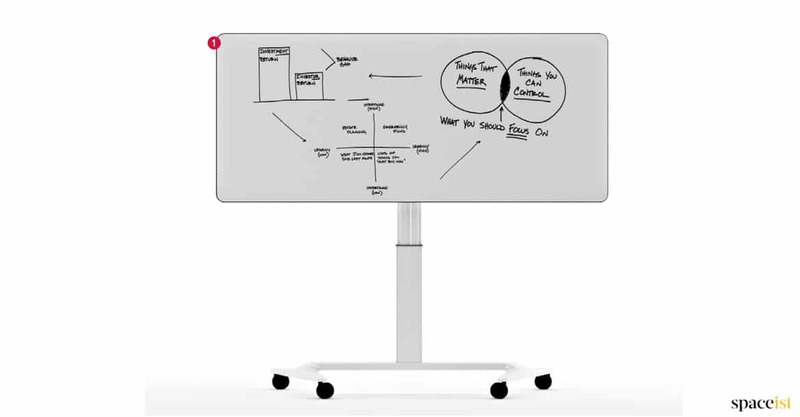 The top can be used a a white board when using dry eraser marker. 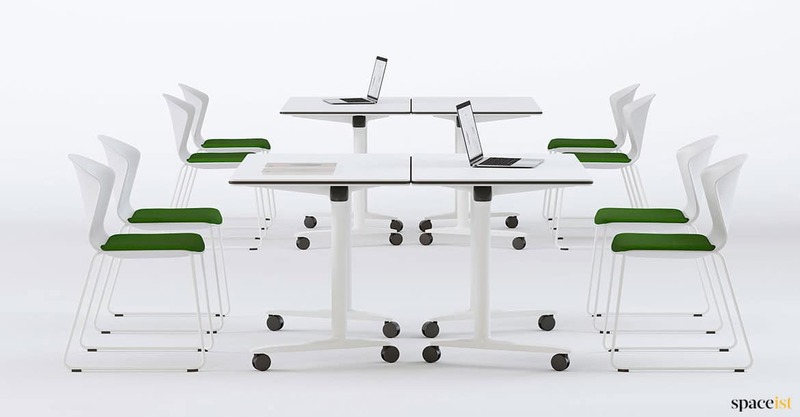 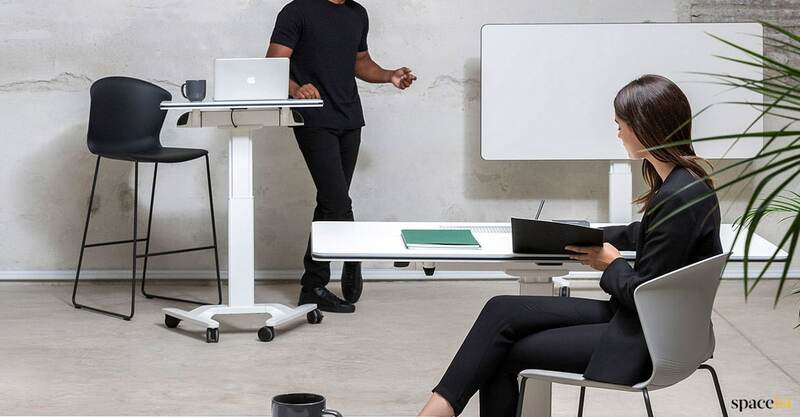 White four person bench desk comes in white, black, grey or oak. Full cable management. 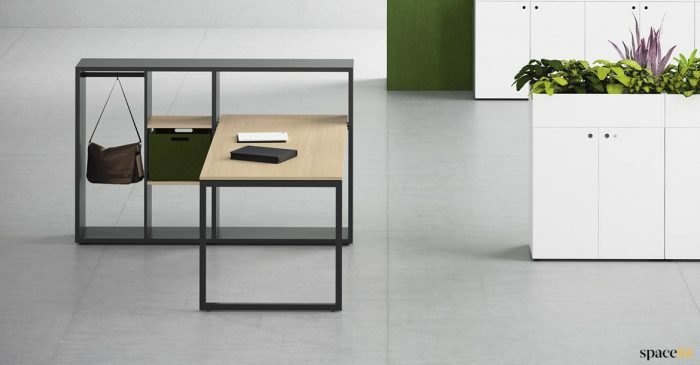 Two person minimalist desk in black, white, grey or oak. 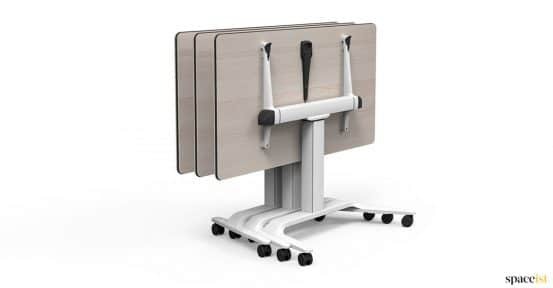 Dividing screen & full cable management. 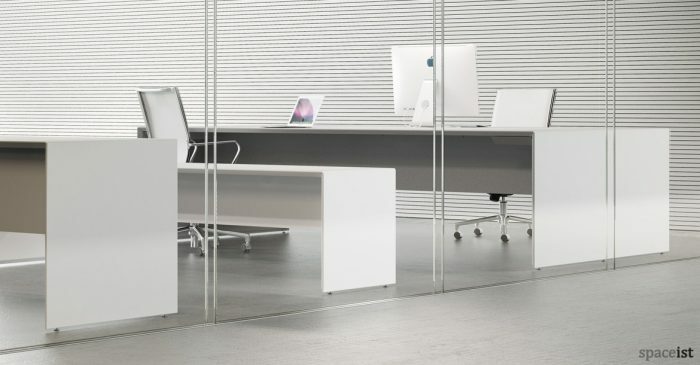 Modular office desk with a white laminate top. 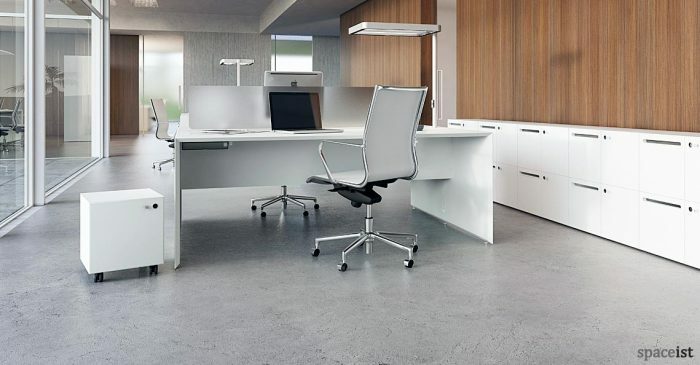 Top colours include white, grey, oak or walnut.